How are you? I am fine. It is cold here. Is it cold where you are? I have a comic over at If You Make It. P.S. We should hang out some time. 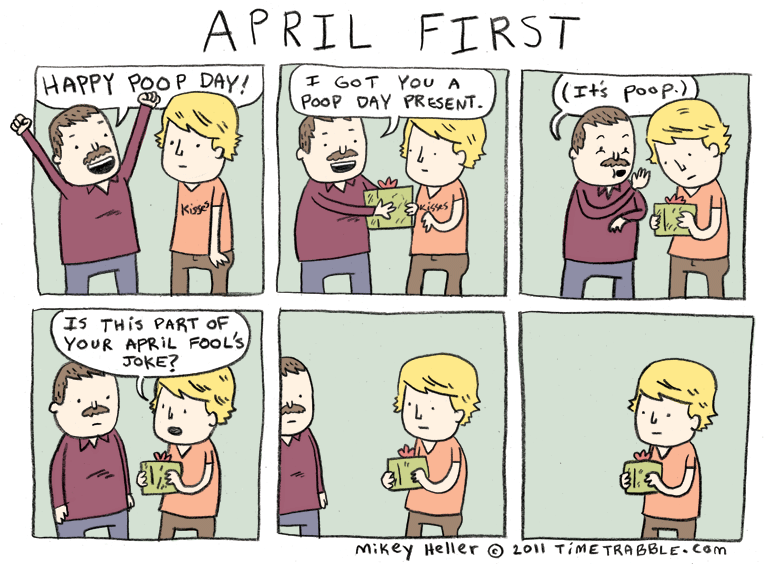 Poop Day is my favorite holiday. YAY to POOP day!!! Okay, I need to go use the restroom now. So much awesomeness. Thanks for the lolz. You rock. Haha, oh my god this was hilarious! It’s poop where I live. I was gonna try and make a funny, witty comment but then I realized that I’m neither of those things, so I’m just gonna stare at your comic some more. Ok I’m gonna stop commenting on every awesome strip. These are ridiculous and amazing! The lot of ’em!